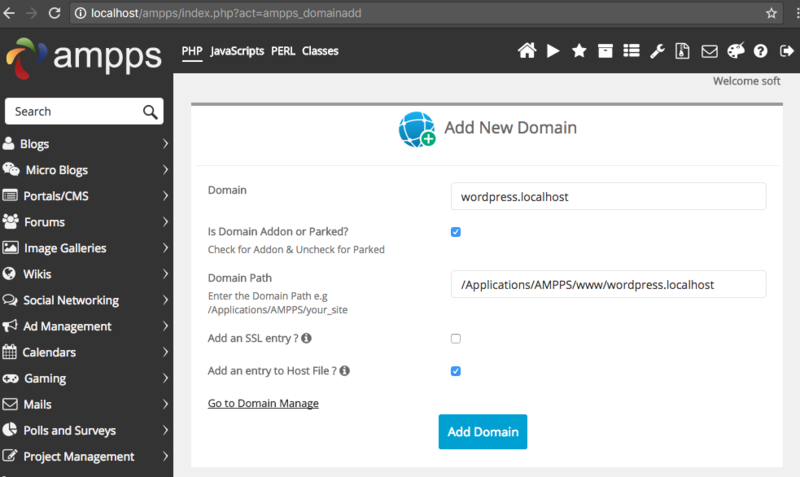 There are plenty of ways to install WordPress on your local machine. 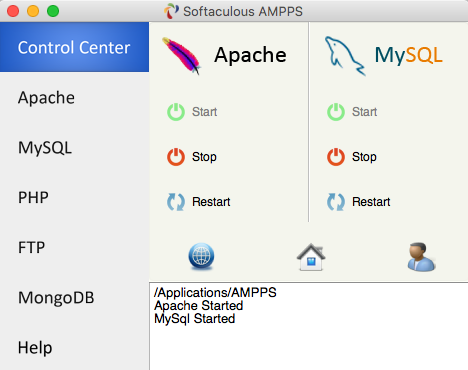 I use a free software package called AMPPS. It’s similar to packages like MAMP and XAMPP in that in includes all of the things you need to run WordPress: PHP (the programming language), MySQL (the database), and Apache (the web server). That’s what some of the As, the Ps, and the Ms stand for in these acronyms. 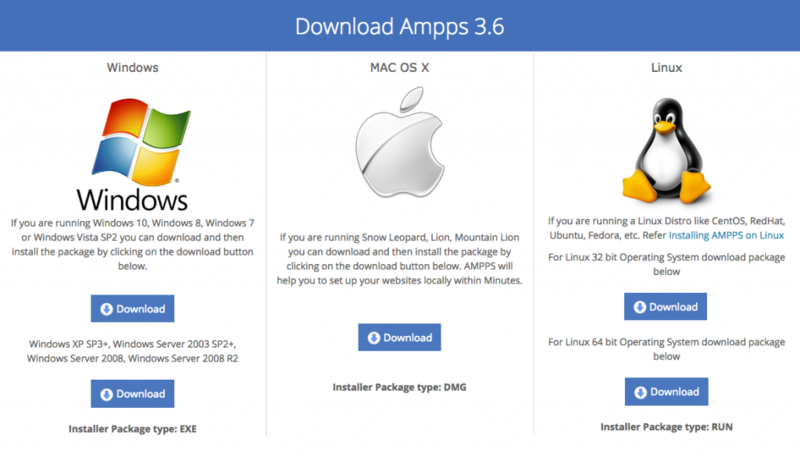 While I use a Mac, note that AMPPS is also supported on Windows and Linux. Instructions may differ slightly for non-Mac users, but the core concepts are the same. For our purposes, we’ll avoid the “PHP Dev Package” and download the latest version of AMPPS. The latest version (at the time this tutorial was last updated) is 3.6. The download is a few hundred megabytes, so it may take a while on a slower connection. Select the appropriate download depending on your operating system. If you’re a Linux user, you’ll need to select between the 32bit or 64bit packages. Install it like you would any other application. Since I use a Mac, after downloading, I’ll mount the DMG file and drag the app into my Applications directory. 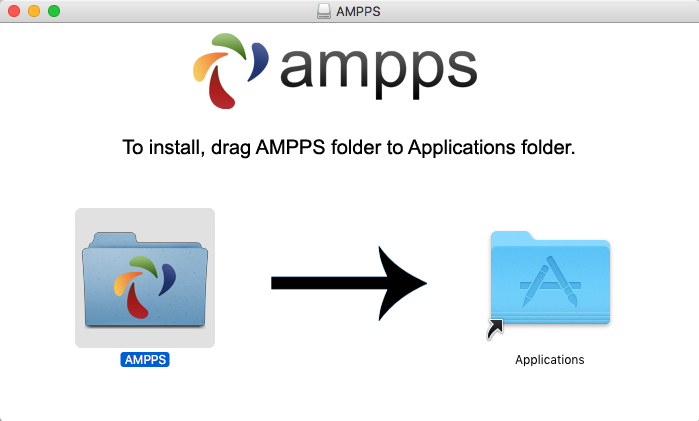 Drag the AMPPS folder to the Applications folder. Start both Apache and MySQL by clicking the green buttons under each column. To run WordPress, Apache and MySQL need to be turned on. In some browsers, you may be able to get away with just typing “localhost” but since many browsers combine their address bar with a search engine, it might get confused and try to search for “localhost” instead. So prefixing “localhost” with http:// is a good habit to get into. Grab the latest WordPress core files from WordPress.org, and extract them in the directory path we chose above. A quick way to find it on a Mac is to type your chosen domain into Spotlight search, and select the first result. Also after extracting the files, we’ll be greeted with the WordPress installation screen by typing our domain into our browser’s address bar. But before we go through the installation process, we need to set up the database. We’ll use it to create the MySQL database we need for WordPress to run. First, click the “New” link at the top of the left sidebar. For example purposes, we’ll use wordpress. You can use whatever you want, just keep it mind for the next step. Once you’ve chosen your database name, type it in and click the “Create” button. 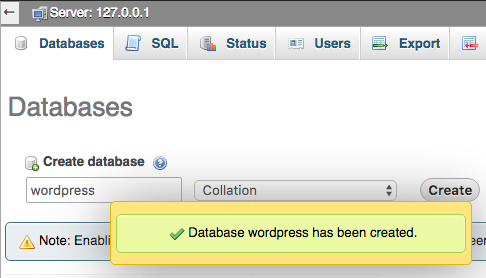 Now close out of phpMyAdmin, and let’s head back to the WordPress installation screen at http://wordpress.localhost. On the previously pictured language selection screen, select the language of your choice and click the “Continue” button. For example purposes, we’ll select English (United States). Click the “Let’s go!” button on the next screen, as we already have all the database information we need. The root/mysql username and password combination we use is a default in AMPPS, so there’s no need to add a separate database user. The root user’s password can be changed. We’re playing things fast and loose since we’re on a local environment and we want to keep things as simple as possible for this tutorial, but it is not a good idea to use the root MySQL user on a live server, if you have the option. Many hosts don’t allow it. 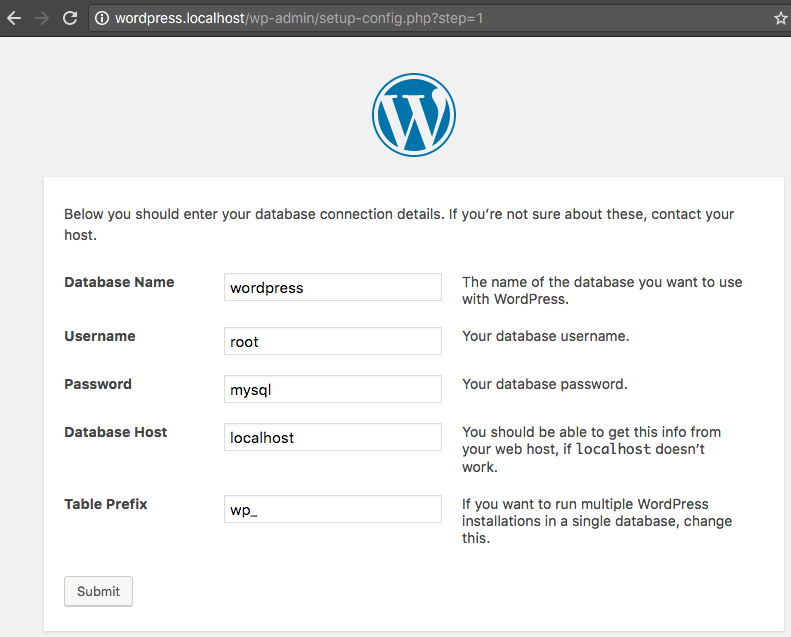 In the background, WordPress will create a wp-config.php file with the information WordPress needs to connect to the database. After successfully connecting to the database, you’ll be prompted to finish the installation by specifying your WordPress site details. Fill out your choice of site title, username, password, and email address on the next screen. Search engine visibility doesn’t matter because this WordPress website will not be accessible from the web, but feel free to further discourage search engines from indexing your site just for kicks. 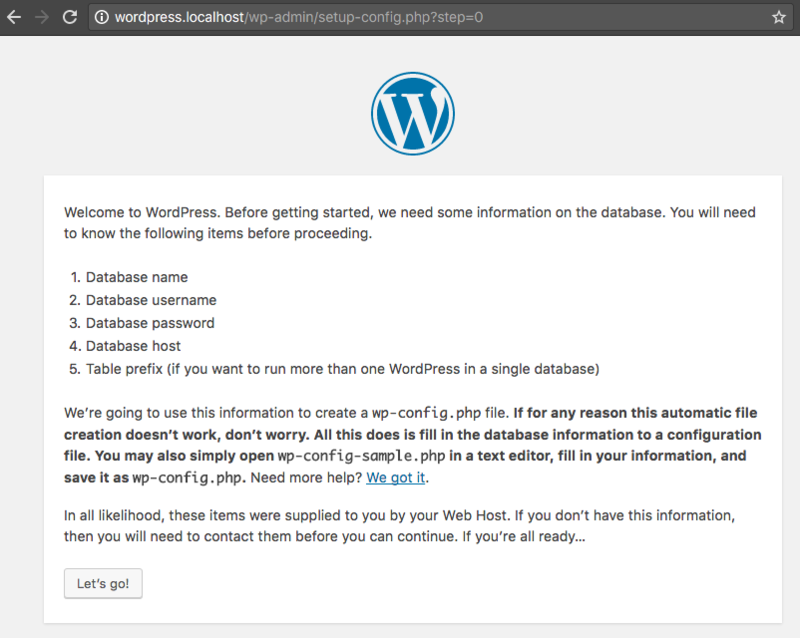 After clicking the “Install WordPress” button, you’ll be redirected to the WordPress dashboard of your newly installed local WordPress site. 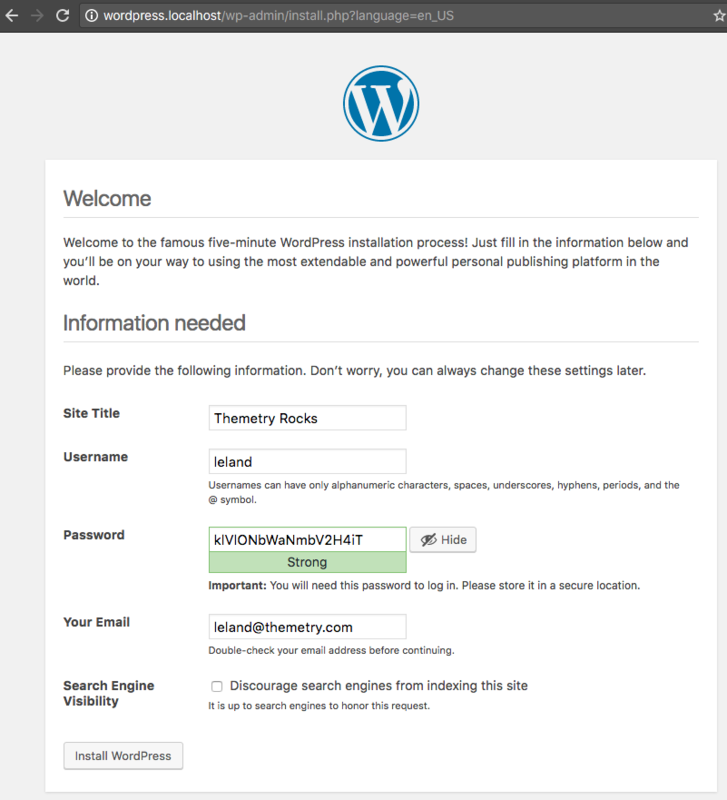 Your locally-installed WordPress site is now fully functional! 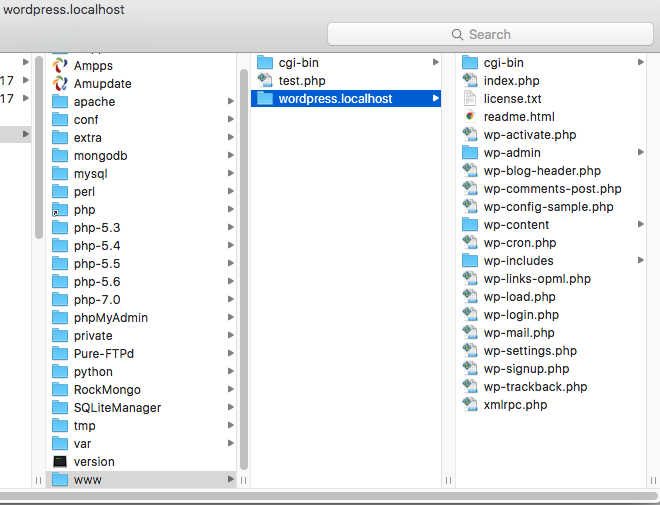 Like I mentioned in the first sentence in this post, there are plenty of ways to install WordPress locally. Plus as a theme developer, I don’t particularly care about exact parity between local and live environments, since my themes will be used on many different types of environments that I can’t anticipate. It sometimes even helps me when an error is thrown on one environment, but not the other, because I can look into why and eliminate it. Also, would you prefer video tutorials? I’ve been a MAMP user for 4 years. Never heard of AMPPS until reading this post. Seems like it can save me time for some of the mundane tasks I encounter using MAMP (hosts, vhosts, database). Thanks for tipping me off to it. No problem! Yep, with AMPPS you don’t have to mess with things like vhosts, since their setup script handles that automatically. and set some preferences the system will ask. Massive thanks for this tutorial. I prefer to read rather than watch so this suited me perfectly. The images and very detailed steps and explanations helped a lot. Can\’t thank you enough! Hi, do you know how to install new theme in localhost with AMPPS? I was doing it manually (paste the downloaded theme into theme folder /Applications/AMPPS/phpMyAdmin/themes but nothing happens. On my localhost site I don’t even see any “add new theme” button. There is just one theme which was downloaded with WP and that’s it. The theme is supposed to be placed in the wp-content/themes folder of your WordPress site.